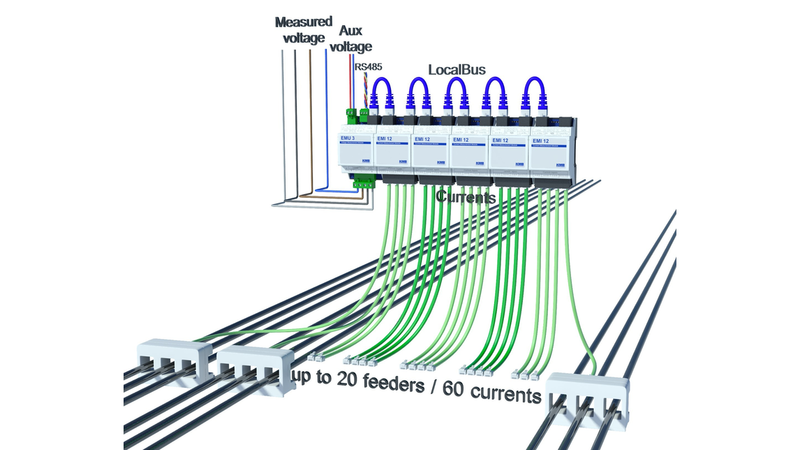 three-phase feeders. Furthermore kWh and kvarh per phase and total, W, var, VA, THDI, unbalance of voltage, THDU and 50 harmonics of voltage are measured. Live data are provided over Modbus or recorded to internal memory when BCPM 233.012 is used.